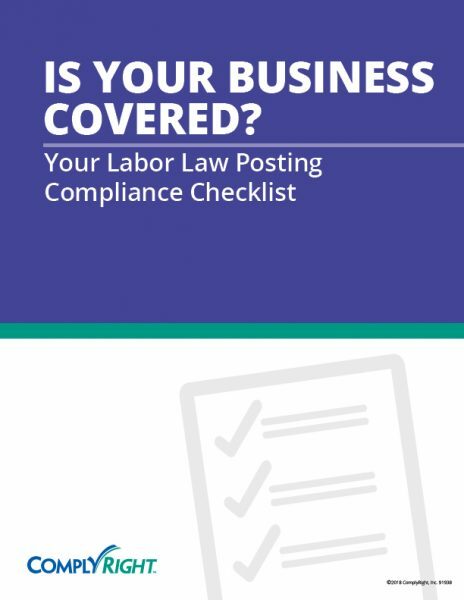 Although labor law posting compliance can be complex and unpredictable, every business should be aware of the key requirements. According to the 2nd annual National Small Business Compliance Pulse Survey, sponsored by ComplyRight, less than half of small business employers are fully confident in their understanding of federal, state and local employment laws and regulations. At the same time, they consider managing these laws a top concern – more than any single, specific regulatory topic.